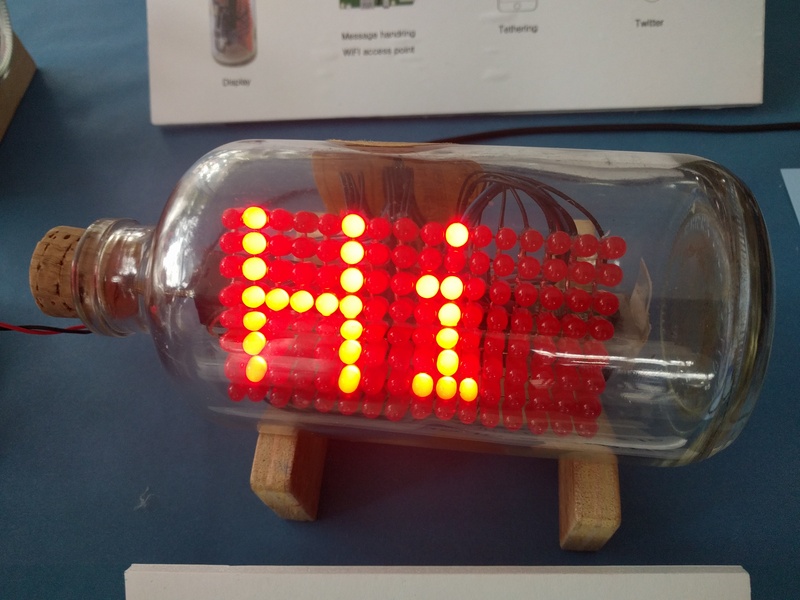 Seen at World #MakerFaire: ‘Bottled Circuits’ are Fantastic Scrolling LED Messages in a Bottle, Soldered Inside the Bottle! #WMF16 « Adafruit Industries – Makers, hackers, artists, designers and engineers! Our team stumbled upon the work of Kimio Kosaka this past weekend at World Maker Faire and we were all really impressed with his craft. The majority of the circuit is soldered inside the bottle, using tweezers and other custom tools to solder connections that even outside the bottle would require patience and precision! Check out the video below for a making-of demonstration and thanks to Kimio for sharing his fantastic project with the world – and also thanks to his daughter Mariko for helping translate his actual words and inspirations! Adafruit 16×8 LED Matrix Driver Backpack – HT16K33 Breakout: This is the magic sauce in our 7-segment and matrix backpacks, now available in breadboard-friendly breakout board format. The HT16K33 is a neat little chip that has the ability to drive a multiplexed 16×8 matrix (that’s 128 individual LEDs). 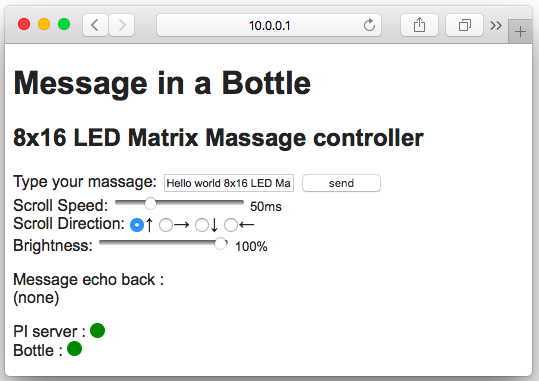 The communication protocol is I2C so it uses only 2 pins, and you can have up to 8 selectable I2C addresses so thats a total of 8 matrices, each one controlling 16×8 LEDs for 1024 total LEDs. Read more.